Apple has just made iOS 6.1 available to the public, including the ability to buy movie tickets with Siri, better LTE support, and more. Apple allows us to update our iPhones, iPads, and iPod touches over-the-air instead of having to plug into iTunes since the introduction of iOS 5, so your iPhone, iPad, or iPod Touch should normally alert you when an update for your device is ready. However, if it doesn’t, here’s how to manually trigger the over-the-air update yourself. Before rushing to the steps listed below, please note that Apple requires your battery to be at 50% or better in order to install a software update over-the-air without being plugged into a charger. Also, make sure that you have your iCloud password on hand, as this update is a bit different from previous ones and requires iCloud authorization upon completing the update. If you satisfy these two requirements mentioned above, you can now proceed further and launch the Settings app from the Home screen of your iPhone, iPad, or iPod touch. 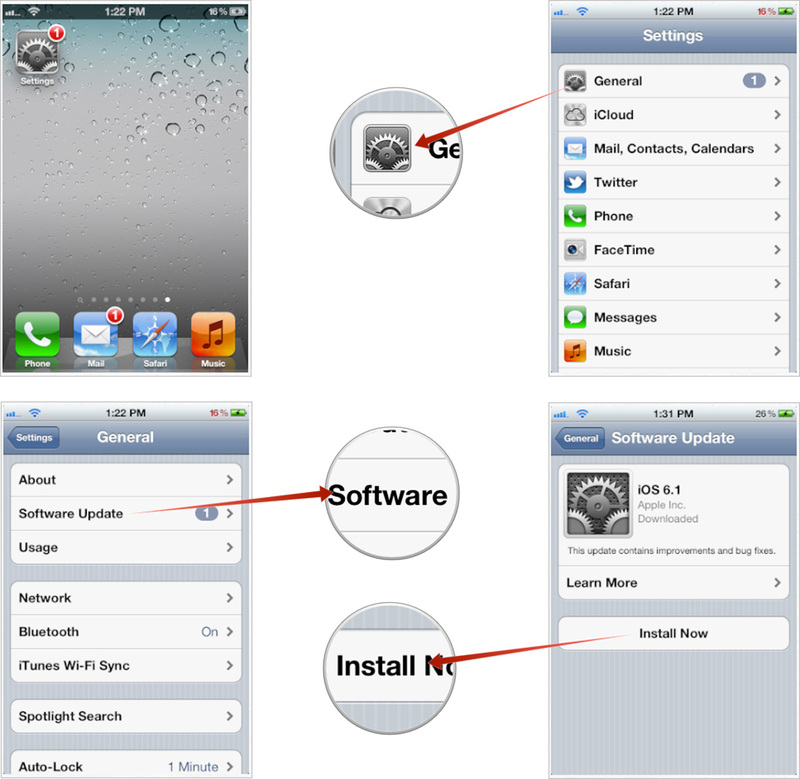 Navigate to General - Software update and check to see if there's an update available on your iPhone, iPad, or iPod Touch. 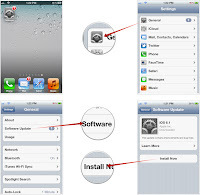 The device will then should display the option to Download and Install or Install Now, if it’s already downloaded the software. Tap on it and you’ll be prompted to plug your device in to save battery, tap continue and let your iPhone, iPad, or iPod touch do its thing. Once the update process is complete, the device will reboot and you’ll then now be on the latest software version!